American lighting manufacturer Dynalite has announced the Baja B6, a new addition to the Baja line of battery-powered monolights. The B6 is rated at 600 joules, with a removable lithium-ion battery that has the capacity for 400 full-power flashes. The unit also supports wireless triggering and high-speed sync with appropriate triggers. An optional 2.4GHz module plugs into the back of the B6, granting remote triggering and power control capabilities. There is a special “T-Mode”, which provides faster flash durations (minimum 1/12,800 second), and “C-Mode”, for stroboscopic multi-flash effects. The B6, like the B4 (and the Rime Lite i4 and i6 on which they are based) take standard Bowens S-fit accessories. 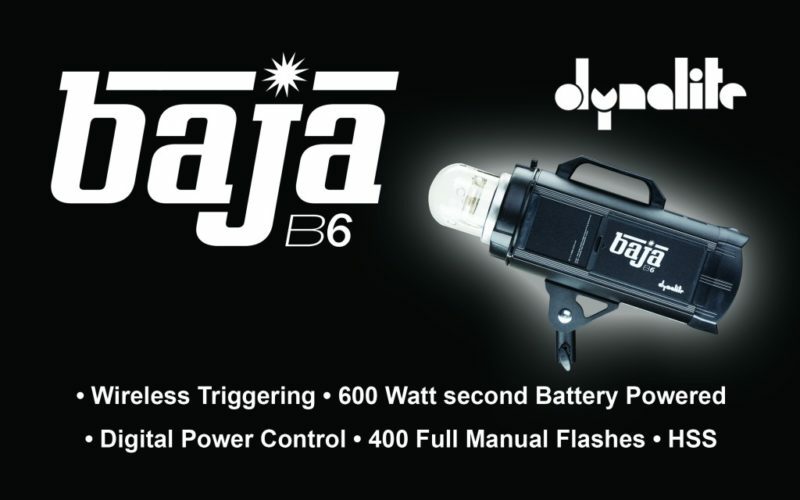 The Dynalite Baja B6 is available to order now from B&H Photo for $749. You can also buy the flash as part of a two-head kit, including travel case, for $1599.